The Bar Cutter has directly operating hydraulic cutting systems with a force of 80 tons and made up of high quality materials in all parts. Set of Hydraulic is imported from Italy, Motor is from Mitubishi-Japan, and spare blade from Germany which can ensure to have very long machine life. 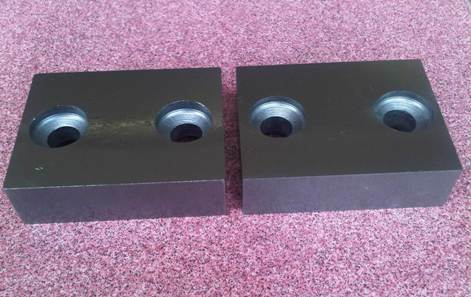 Bar Cutter can cut bars of sizes 25, 32, 42 mm. with hard ness up to SD 50 by using high quality blades that has 4 cutting edges. 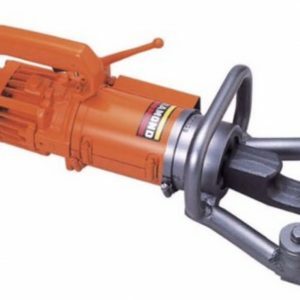 Bar Cutter is silent, smooth and safe compared to the gear transmission type. Wheels built-in for easy transport. 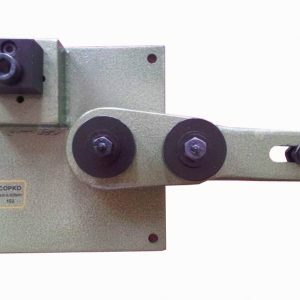 Blade space of Bar Cutter can be adjusted to suit various bar sizes, helps save time. 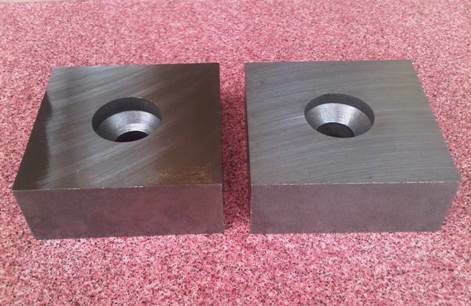 Bar Cutter has extremely strong with one-piece, 75-117 mm. Thick mainframe. U-shaped blade slot makes multiple bar cutting easy and prevents spread bar-bundle. 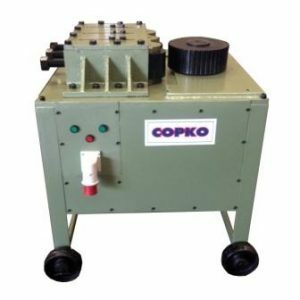 One-way motor of Bar Cutter helps saving power consumption and helps extend machine life and it is result in slowly deteriorate of motor and electrical system. 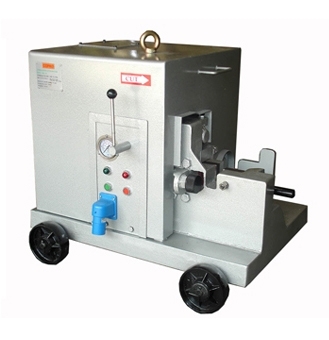 Bar Cutter has double safe hydraulic system with relief and piston valve that prevent cutting of oversized bars. 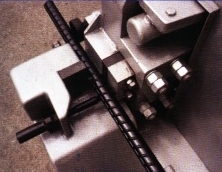 Achieved by reduction of power when the poison is at full stroke to prevent overloading and to lengthen the life of the machine. 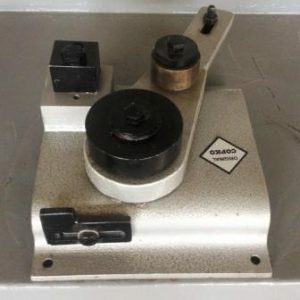 Bar Cutter is a vailable for both 1 phase 220V and 3 phase 380V systems with protection devices to prevent damage to the motor in the event of power of phase failure.